Hosting Buxton’s first ever lock-in event, a local shopping centre has built new partnerships with the UDSU to welcome students for the new academic year ahead. The Springs Shopping Centre is opening its doors late at night for students to take advantage of exclusive offers and enjoy free entertainment with a number of local organisations joining in on the night. Buxton Opera House, Buxton Swimming and Fitness Centre and UDSU are just a few names of those invited to entertain at the event in The Springs Shopping Centre on September 15th. The event will also include an F1 simulator, an iPad giveaway and other prizes, professional photography and plenty of entertainment all free of charge on the night. Carlon Stewart, The Springs Shopping Centre manager, said: “The Student Lock-In event is one we have been planning for a long time now. We have always wanted the local students to feel welcomed at the centre and this gives us the perfect platform for them to shop and take advantage of one night only discounts. The Lock-In, as part of the official Freshers’ Fortnight programme, has been backed by the UDSU, who will be in attendance on the night. The two organisations have been working non-stop over the summer to ensure both the returning and new students have plenty to be excited about for the forthcoming year. Julie Whiteley, Buxton Participation Coordinator at UDSU, said: “When The Springs approached us earlier this year, we immediately expressed our interest in giving a helping hand to make this a success. It is an opportunity that has never been available to students in the past, so we are very excited for the town’s first lock-in event. 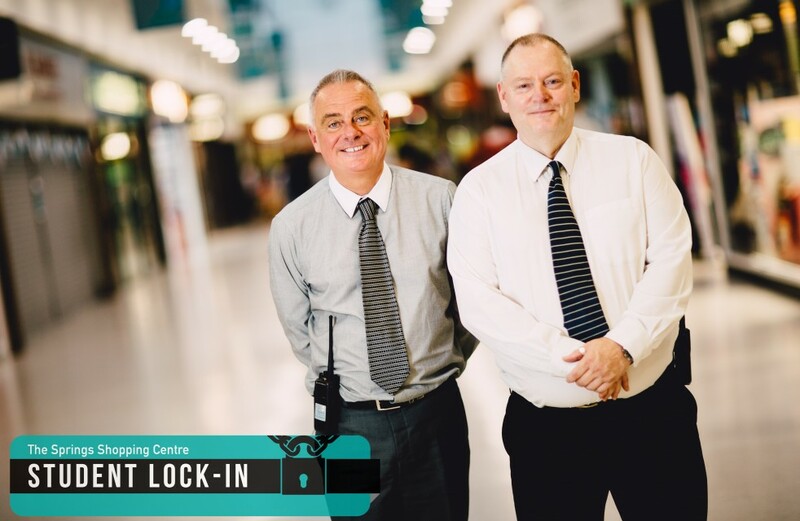 The lock-in event held at The Springs Shopping Centre will run 6pm – 9pm on Thursday 15th September. Students must bring a valid form of student ID.